The practice may have played a leading role in creating some of BC’s most high-profile environmental blunders. FIFTEEN YEARS AGO, as a reporter for CHUM TV (aka The New VI), I got a call from a professional wildlife biologist in Port Alberni called Mike Stini. He’s an Island guy to the core—understated, drives a pickup, knows the bush like the back of his hand and, more than anything, loves this place and isn’t afraid to share his knowledge. He was clearly upset. The BC Liberals had changed all the rules on forest management, and suddenly wildlife experts like him, who were hired by government prior to harvest plans to identify the old growth where elk and deer overwintered, or find and map the bear dens and the goshawk nests, were being shoved out the door. His concern wasn’t about losing the work; he could always go back full-time to taxidermy. It was about what was going to happen to his habitat on McLaughlin Ridge, the forested mountains that were about to be levelled by industry. But the government seemed to reason that biologists like him were dispensable. If what was standing between a company and profit margins was a bear den, an ungulate winter range, or a goshawk nest, then the best thing to do was to get rid of the people who have that knowledge. My reporting crew travelled all over McLauglin Ridge to do the story, looking at the hard-won designations of old-growth management areas, riparian zones, wildlife trees, and habitat for species at risk. We even crawled right up to one bear den that Stini had been monitoring for years, to check out the condition of the bear who looked out at us in a torpid state from the old-growth tree that served as his home for six months. Stini had data stretching back decades on the bear dens that he had found in the region. Up on the south-facing slopes of the ridge, under the big old Douglas-firs laden with arboreal lichens, he pointed out the signs of the deer and elk that overwintered there, surviving on lichens that blew down from their canopies in each winter storm. All these areas, under the old designations, were about to be put under the control of logging company biologists—in a system that was referred to as “professional reliance.” The Forest Practices Code had been gutted, and the discretion to manage 45 million hectares of our public forests for the public’s interest, which included the protection of wildlife, water, recreational opportunities, cultural sites, subsistence hunting and so on, was now in the hands of industry. Under the new regime, there was no legal requirement to have the forest surveyed for ecological or cultural values prior to logging; it was up to the professionals hired by industry to judge. If the public wasn’t happy with “the results” in this “results-based system,” they could take issue. But what use would taking issue be after the fact? And how did one assess results when the evidence for what had been there was gone? Especially when no one had been mandated to collect it. Stini forecast that all the places that we visited would be logged under the new system. In 2015, I revisited those sites and he was right—everything was levelled, from the bear den to the winter range. 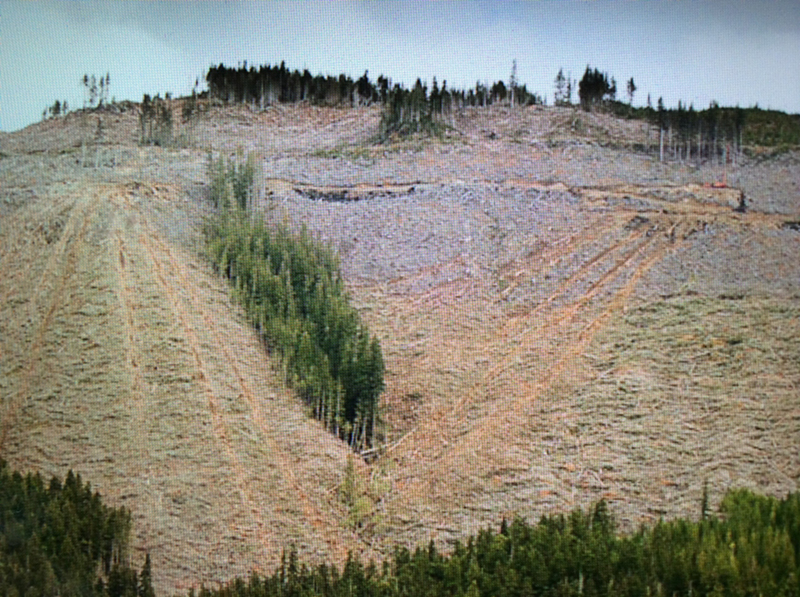 Even worse, under the current designation of working forest, there is no chance the forest can even recover. In an industry-led cutting cycle of under 50 years, the trees will never mature long enough to produce a tree with a suitable diameter for a bear den, goshawk nest, or arboreal lichen to grow. The government extended the practice of relying on resource extractors’ own professionals to evaluate the environmental aspects of mining and other projects. How do the proponents of professional reliance define it and defend it? And why is reviewing it one of the top four priorities in the 2017 Confidence and Supply agreement between the BC Green and NDP caucuses? With all the issues they could have picked, why did it push its way to the top? Forest Practices Board legal counsel Mark Haddock, who was with the UVic Environmental Law Centre in 2015 when he did a lengthy analysis of the failures of the professional reliance “experiment,” says it is a grey term and has multiple interpretations that can easily mislead. His definition is “the substitution of professional opinion from experts inside of government for that of professionals in the employ of the [resource development] proponents.” He suggests renaming it “decision-making reliance.” Furstenau thinks it should be rebranded for what it is—conflict of interest. British Columbians are not unfamiliar with how deregulation, with a loosening of standards around conflict of interest, can spiral into corporate white-collar crime. The Mount Polley disaster is a case in point of how badly it can go wrong with no third party oversight. The fact that the company, Imperial Metals, can continue to operate with no penalties, after destroying a lake for generations, clearly pushes citizens to the edge. Citizen groups are pursuing private prosecutions, and Premier Horgan has now committed to determine why a deadline was missed by the BC Liberals to lay charges against the company. Furstenau feels the blame should lie in the failure of government to protect the public interest by handing over the responsibility to industry. Over the years, corporate spin-doctors have found devious new ways to shed rules and government oversight, but professional reliance was a stroke of pure genius. Many were lulled into thinking that handing the management and oversight of our public lands and interest to a coterie of smiling, reliable professionals, with their reputations and professional associations hovering above to keep them in line, was a grand solution. After all, it was expensive to fund government-hired professionals. In the last 17 years, virtually every news story about damage to public forests, lakes, rivers and oceans, affecting wildlife, water, air, soil, climate, and First Nations rights, with repercussions on every aspect of our health, can be traced to flaws in professional reliance. The big issues like Mount Polley, the Testalinden Creek landslide, and Shawnigan Lake are what catch the headlines, but they represent a fraction of the damage to our forests, communities and wildlife that Mike Stini predicted. The lack of trust pervades not just government, but the professional associations themselves. As Furstenau points out, it isn’t their job to look after the public interest. And in a deregulated environment, with narrow terms of reference, there are virtually no laws to break, therefore no disciplinary actions to be taken. The whole thing is a Machiavellian bag of worms. Haddock, along with a recent report by Evidence for Democracy, both revealed the level of concern that many professionals themselves have with provincial decision-making on natural resources. Few professionals are willing to talk openly. But, under protection of anonymity, they told Haddock of the many problems: “expert shopping”; clear conflicts of interest, but no way to address it; lack of checks and balances; loss of expertise in government; lack of confidence in government monitoring; problems with independent monitoring; lack of confidence in the disciplinary process of professional associations; reduced formal public involvement; greater user conflicts; no one out in the field who knows what is going on; filtering of information by proponents; too many grey areas; inexperienced crews operating; cavalier approach to risk…and the list goes on. With the professional reliance model no longer being tied to the public interest, many professionals found it intolerable to work in an environment in which the term “stewardship” has largely been stripped out of their duties. And now, at least one has resorted to legal action: Professional forester Martin Watts has accused the Province of blacklisting foresters for raising concerns over the quality of inventory data. Watts is spending his retirement savings to fund a case he might not win, but which will certainly lose him clients. As for predicting the outcome of the review, she can’t speculate, but one thing is certain: She wants an outcome in which she can return to her community and not feel as if all the responsibility for safeguarding the environment is in the hands of volunteers like herself on the Shawnigan Lake issue. It is a powerful motivator, and biologists like Stini will be cheering from the sidelines. 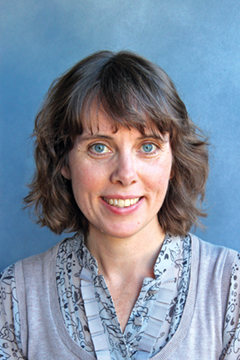 Briony Penn has been reporting on regional environmental issues for over 20 years. In the 2000s, she hosted the TV show “Enviro/Mental” which was nominated one of the top three magazine shows in Canada. She lives on Salt Spring Island.